There are all types of exercise routines and fitness strategies out there, but nothing beats a long run on a beautiful fall day. But what if you HATE running? Running is one of the original and most accessible forms of exercise but to many people, it’s miserable. So, if you are someone who wants the health benefits of running but hate running, here are some tips for you. Proper breathing is extremely important for a successful run. I’m not talking about the normal breathing your body does without thinking about it, I’m talking about persistent, focused inhales and exhales that require concentration and prevent side cramps. A great breathing technique to follow is a two second inhale every two steps then two second exhale the next two steps. You are either inhaling or exhaling every time your foot hits the ground. Utilizing this technique will create a consistent rhythm for your run and help prevent your sides from cramping. The position of your body is also important if you want to run properly. Running is a whole-body exercise because you are not just moving your legs but also your arms, back, and core. You should try to maintain a “balanced forward” posture where your looking forward and you lean into the run without actually bending in the waist. Your arms should pump in short compact movement and match to the speed of your legs. Your feet should land softly and not land past the knee. A good way to see if you are running properly is to count your steps per minute. You should try to stay within 170-180 steps per minute. How you recover after a run helps you prepare for your next run. Whether it was a short couple of sprints or a 3-mile run, you should drink plenty of water to prevent dehydration and to help in muscle recovery. Muscles that are going through recovery tend to be sore. Applying a small amount of Zim’s Max-Freeze to the area that is sore will provide lasting cooling relief while your body recovers. 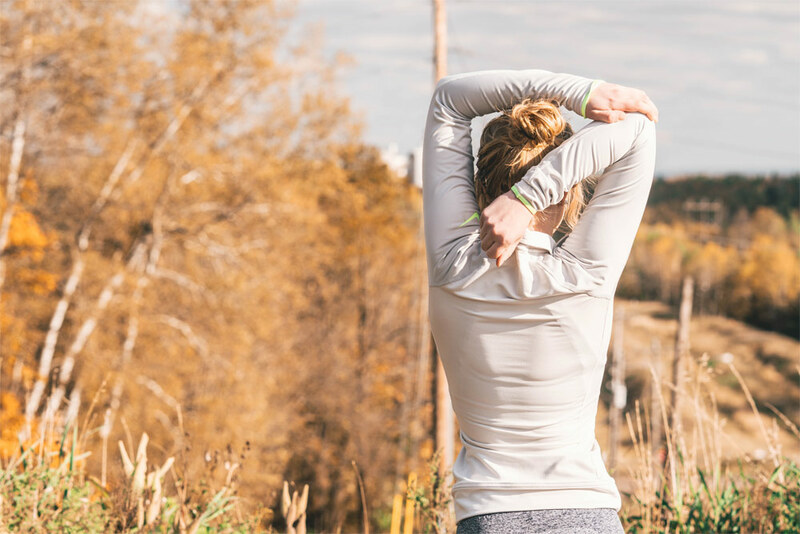 If you are determined, follow these tips, and remain consistent, you can find that running on a beautiful fall day can be rather peaceful, instead of painful.